Mr. Raheja is a passionate wildlifer and had been a member of the Steering Committee of Project Tiger, under the Ministry of Environment and Forests, Government of India. Navin Raheja have been contributing to the cause of wildlife and environment. Be it a fight to rehabilitate Gujjars of Rajajji National Park in Uttarakhand or picking up vital issues in other parts of India. 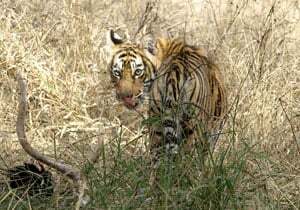 On May 18, 1985, the report of a tiger poisoned in Rajaji Park was front-paged by the Times of India. This incident triggered a change in the system, with Mr Navin M Raheja being appointed in the steering committee of the Project Tiger of Government of India.